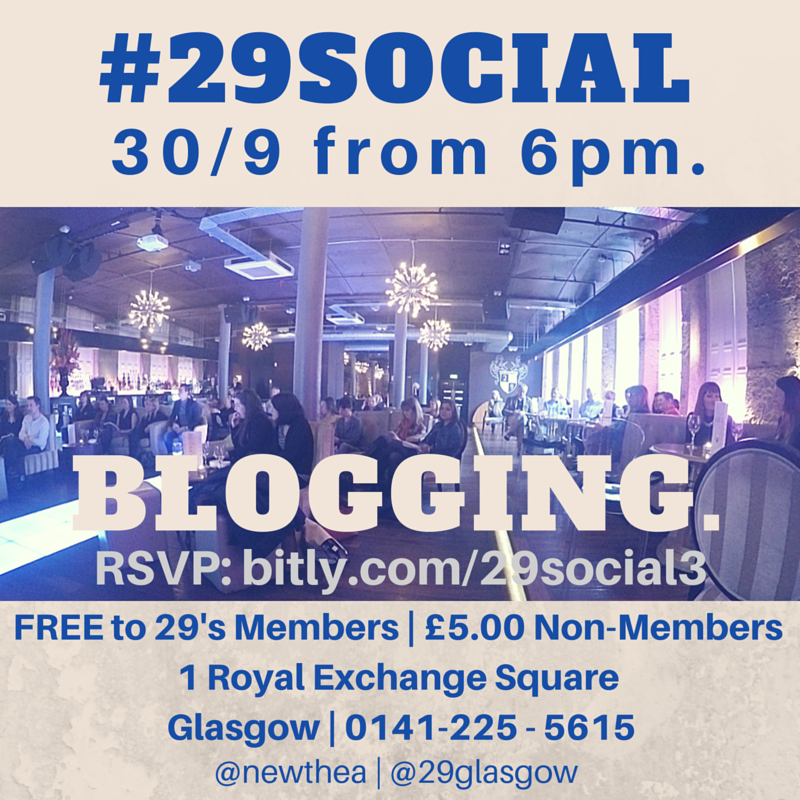 Well it’s just over a week away from the #29Social September event at 29 Private Members Club in Glasgow. As ever the event will be held from 6pm and this month’s topic is Blogging. I’ve asked three lovely bloggers to come along and share their experience of blogging for business. 1) Beauty blogger, Andrew James. So excited to hear his story, challenges and his experience of having just won “Best Beauty Blog” in Scotland for his blogbeautyandtheboy. (Follow Andrew on Twitter). The event is FREE for 29’s members and just £5.00 for non-members. The price includes a drink upon arrival and some wee nibbles to see you through!